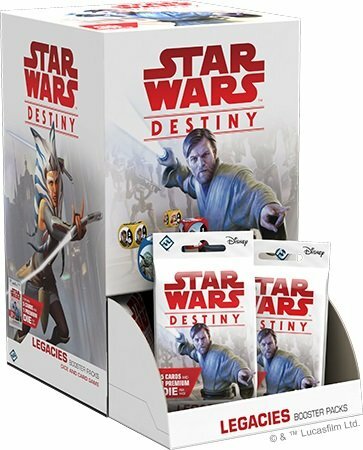 Star Wars: Legacies is out now along with a new Data Pack for Netrunner! To receive entire booster displays, order in multiples of 36 Booster Packs. 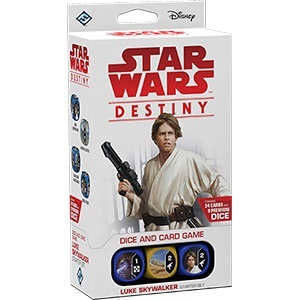 Discover the legacy of two of the galaxies greatest heroes with the Luke Skywalker Starter Set for Star Wars™: Destiny! The set lets you take control of Luke Skywalker and Han Solo in their battle against the Empire. 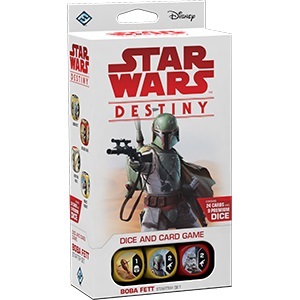 With twenty-four cards and nine dice, the Luke Skywalker Starter Set contains everything you need to start your journey into Star Wars: Destiny. With powerful abilities, this unlikely pair of heroes is ready to take on whatever challenge comes their way. Signal your skill and resourcefulness from the moment you first sit down to the table. 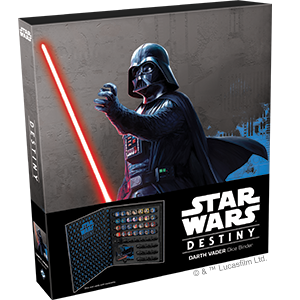 The Darth Vader Dice Binder for Star Wars™: Destiny offers durable protection and organization for all the dice and cards from your favorite Destiny deck. Its plastic tray neatly arranges your dice in rows, keeping their faces visible and easy to locate, while its stunning artwork immerses you more fully in the Star Wars galaxy. 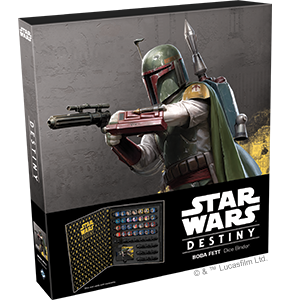 With this Dice Binder, you’ll be able to channel your inner Boba Fett, surprising and intimidating your opponent as you quietly whip each new die out of your arsenal. Display your strength and defiance from the moment you first sit down to the table. 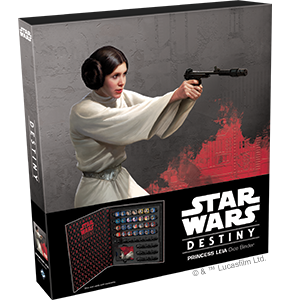 The Darth Vader Dice Binder for Star Wars™: Destiny offers durable protection and organization for all the dice and cards from your favorite Destiny deck. Its plastic tray neatly arranges your dice in rows, keeping their faces visible and easy to locate, while its stunning artwork immerses you more fully in the Star Wars galaxy. With this Dice Binder, you’ll be able to channel your inner Princess Leia, keeping your chin up and defiant as you keep pulling out new dice to counter each of your opponent’s moves! 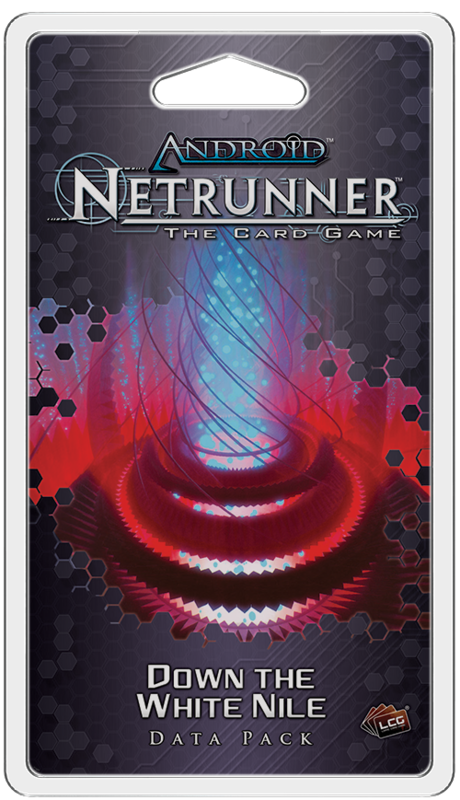 Down the White Nile is the second Data Pack in the Kitara Cycle for Android: Netrunner The Card Game, and its sixty new cards (three copies each of twenty different cards) transport your games to the fast-growing city of Jinja, situated along the shores of Lake Victoria. There, the nations of the Sub-Saharan League have gathered a small army of workers. Their tasks? To help the world’s second beanstalk grow through and out of its early stages of construction. To replicate the closely held secrets of Weyland’s buckyweave. And to raise the colossal tower until it brushes against the heavens. But while so much of the city’s activity aims toward the skies and beyond, there’s plenty happening on the ground—and behind the locked doors of Jinteki’s Kisu2 Hospital. Bacteria and viruses (both physical and virtual) feature heavily in Down the White Nile, and you’ll also find a new Shaper identity, programs, ice, a devious ambush, and an agenda that pays the Corp even if the Runner steals it. Altogether, the cards from Down the White Nile reinforce the Kitara Cycle’s on the tense interactions between Corp and Runner, raising the stakes and layering them in new bluffs and stratagems. It’s the Force that BINDERS us!